Unless otherwise specified, all materials appearing on this site; including text, site design, logos, graphics, icons, and images, as well as the selection, assembly and arrangement thereof, are the sole property of Sherfab., Copyright ©, ALL RIGHTS RESERVED. 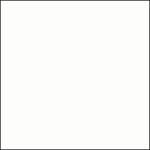 You may use the content of this site only for the purpose of shopping in this store or placing an order and for no other purpose. No materials from this site may be copied, reproduced, modified, republished, uploaded, posted, transmitted or distributed in any form or by any means without our prior written permission. All rights not expressly granted herein are reserved. Any unauthorized use of the materials appearing on this site may violate copyright, trademark and other applicable laws and could result in criminal or civil penalties. This site may contain links to other sites on the Internet that are owned and operated by third parties. You acknowledge that Sherfab is not responsible for the operation of, or content located on or throughout any such site. Your receipt of an electronic or other form of order confirmation does not signify our acceptance of your order, nor does it constitute confirmation of our offer to sell. Sherfab reserves the right at any time after receipt of your order to accept or decline your order for any reason or to supply less than the quantity you ordered of any item. These conditions will supersede any terms and/or conditions you include with any purchase order, regardless of whether this store signs them or not. Sherfab reserves the right to make changes to this site and these conditions at any time. We keep your personal information private and secure. 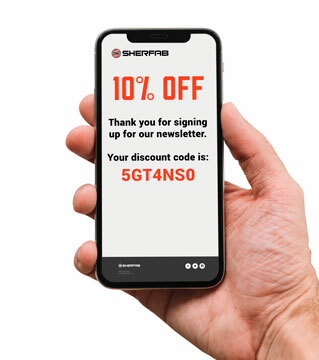 When you make a purchase from Sherfab, you provide your name, email address, credit card information, address, phone number and a password. We use this information to process your order(s), to keep you updated on your purchases and to personalize your shopping experience. This online store is powered by 3dcart shopping cart software. The 3dcart ecommerce solution provides the means to power this Sherfab but is in no way responsible for the activities/content found within. All content found on this site; including products, web copy, promotions etc., is the sole property of Sherfab and has no direct ties to 3dcart as a company. If you have any questions about what appears inside this store, please contact us directly from our contact us page. Our store will automatically charge and withhold the applicable sales tax for orders to be delivered to addresses within the same state/province where Sherfab holds a presence. For orders shipped to other areas, you (the shopper) are solely responsible for any sales taxes and/or other taxes that may apply.